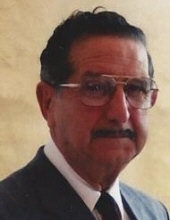 Salvatore G. DiBianca, age 91 years, of Flemington, NJ, died Tuesday, October 30, 2018, in the Hunterdon Medical Center, Raritan Township, NJ. Born in New York City, June 21, 1927, son of the late Joseph and Carmella Virota DiBianca, he had resided in the Flemington area since 1948. He owned and operated Hunterdon General Contractors, Flemington, 1952-2005. His firm built many businesses and served many others including Lipton Tea, Johanna Farms, Liberty Village, Kuhl Corp, Flemington Fur Company, and several area banks and telephone companies. He also owned and operated Holiday Pools, Flemington. He served in the US Merchant Marine 1945-1947 and was a 4th Degree Knight with Jubilee Council, Knights of Columbus and a charter member of Flemington Elks Lodge #1928, Flemington, NJ. His wife Mae Mainella DiBianca, died in 2013. Surviving are two sons, Thomas DiBianca of Delaware Township, NJ and Joseph DiBianca of Raritan Township, NJ; a daughter, Patricia Prakopcyk of Ringoes, NJ; seven grandchildren, Michael, Michelle, Allison, Richard, Alexa, Amanda and Andrew; and four great grandchildren. Funeral services will be private under the direction of the Holcombe-Fisher Funeral Home, 147 Main Street, Flemington, NJ. Interment will be in St. Magdalen Cemetery, Flemington, NJ. There will be no calling hours. "Email Address" would like to share the life celebration of Salvatore G. DiBianca. Click on the "link" to go to share a favorite memory or leave a condolence message for the family.